A distinctive 14kt. 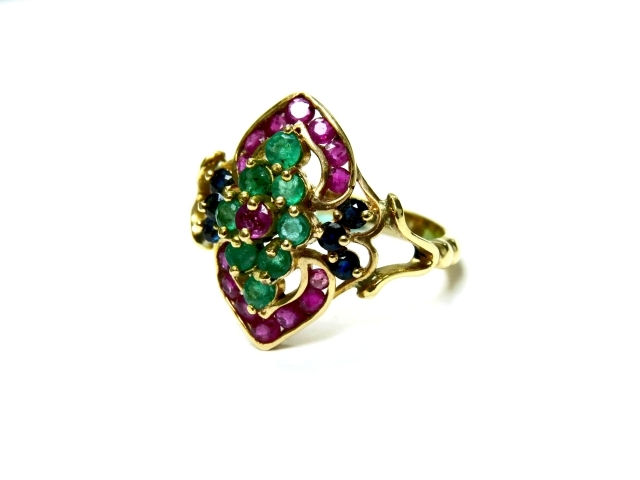 yellow gold ring, with 8 claw set round facetted cut medium green emeralds, est. 0.45ct. ; 15 claw and channel set round facetted cut deep red purplish rubies, est. 0.88ct and 6 claw set round facetted cut dark blue sapphires, est. 0.36ct.